Oh..this is so sad. She' looks like such a sweetie!!! 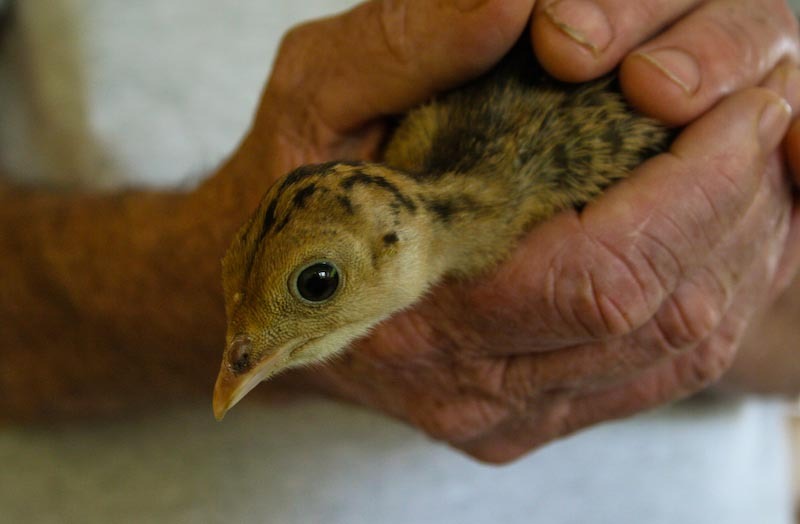 I don't believe I've ever seen a turkey chick. They're cute when they're little! I applaud your efforts to keep this li'l one alive. Sweet image. Sad story. Will we see more of the human fauna of Wild Gulch? Glad you could let it down easy. Mother does know beast. And best. I've never seen one either. Such a tender photo. Sorry it didn't pull through. Awwww. Such a cutie. I love the similarity between its feathers' coloring and those of mallard chicks. Obviously the same idea of camoflauge.